Bradford, UK – Yorkshire Water has been condemned by wildlife campaigners following discovery of ‘jaw-like’ traps, set to kill stoats and weasels on moorland leased by the company for grouse shooting. Over 3,000 people have urged the utility supplier to implement a ban. Bradford-based Yorkshire Water is facing growing calls to stop leasing moorland across the region for grouse shooting following discovery of ‘jaw-like’ traps on its upland estate. 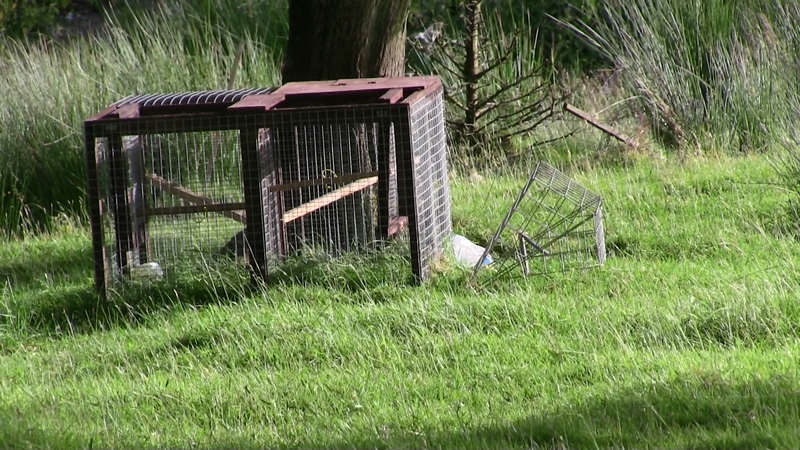 Ban Bloodsports on Yorkshire’s Moors (BBYM) uncovered the contraptions, which are controversially deployed to kill native wildlife so as to preserve game birds for shooting parties, during June. 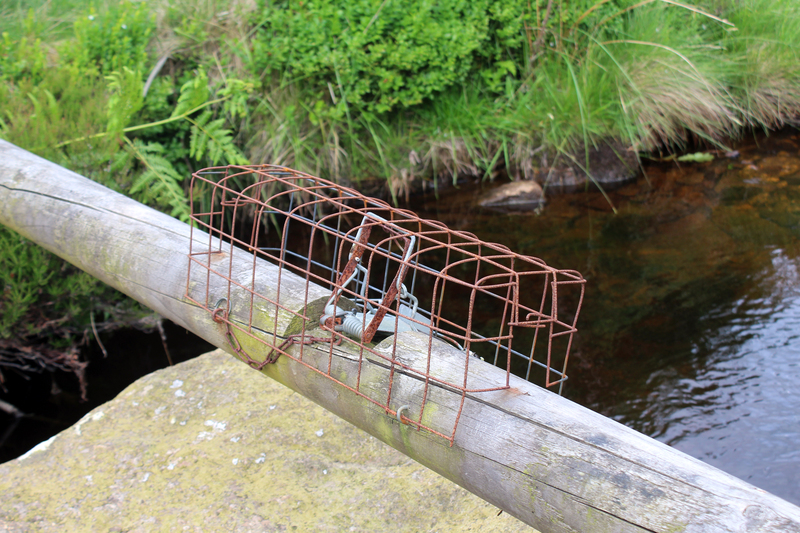 Over a dozen fenn traps targeting stoats and weasels were discovered by BBYM set on Stanbury Moor (photos here). Mustelids take at least two minutes to die from the bone-crushing impact of the devices, resulting in prolonged suffering. A non-target bird species was found to have been captured in at least one device on Stanbury. Larsen and clam traps targeting magpies, crows and other corvids were found on Haworth and Keighley Moor (photos here). These contraptions are baited with a wild-caught live bird to entice others in, causing many of these intelligent animals to exhibit captivity-induced stereotypic behaviour as a consequence of the distress caused. In the case of clamp traps birds may be left incarcerated for many hours without food, water or shelter. Corvids are ultimately killed through being clubbed over the back of the head. Luke Steele, Spokesperson for BBYM, comments: “Yorkshire Water is allowing moorland across the region to be purged of native wildlife, including stoats, weasels and corvids, to preserve unhealthily-high numbers of red grouse for shooting parties. These actions are not only inhumane, but serve no conservation purpose – with many successful former-shooting moors hosting curlew, dunlin and other specialist wildlife without resorting to such methods. Last month Bradford Council ended its grouse shooting lease of Ilkley Moor following a sustained campaign by BBYM. Over 3,000 people have now signed a petition calling on Yorkshire Water to follow the local authority’s example.